…back into our old routine (for this week anyway) of cooking something good for sunday lunch. 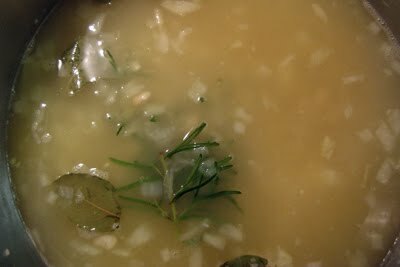 this week it was the rosemary white bean soup from the first barefoot contessa cookbook. 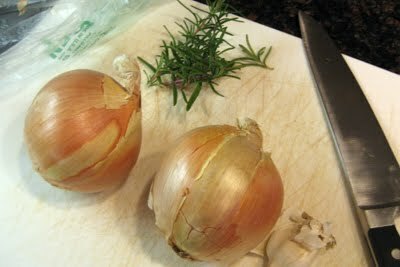 started with two onions, roughly chopped. sauteed in a few tablespoons of olive oil for about 15 minutes. 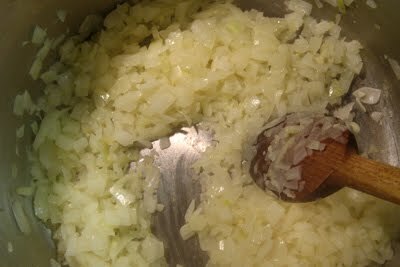 while the onions cook, chopped 3 cloves of garlic, really fine. 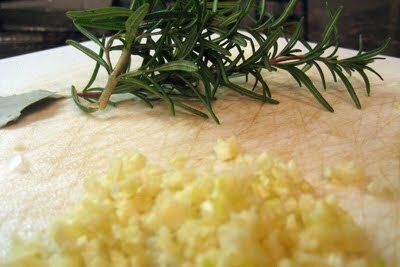 added the garlic for a few minutes, then a pound of white beans (soaked in water overnight in the refrigerator), 2 quarts of chicken broth, 5 bay leaves and a few sprigs of rosemary. brought to a simmer and then cooked covered for 35 minutes, then uncovered for about 15 more minutes. 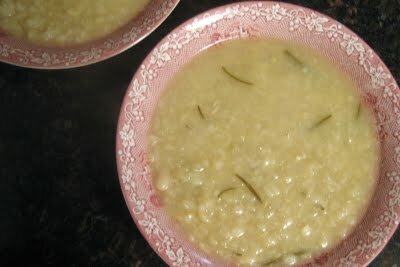 removed the bay leaves and the rosemary stems (the rosemary leaves fell off into the soup). used the potato masher just a bit. then served. i wish i could smell it from here-looks wonderful.